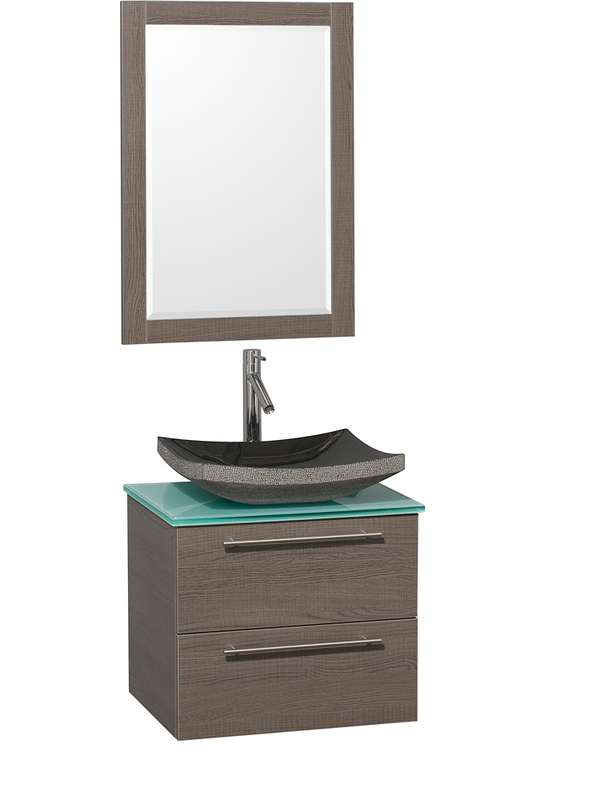 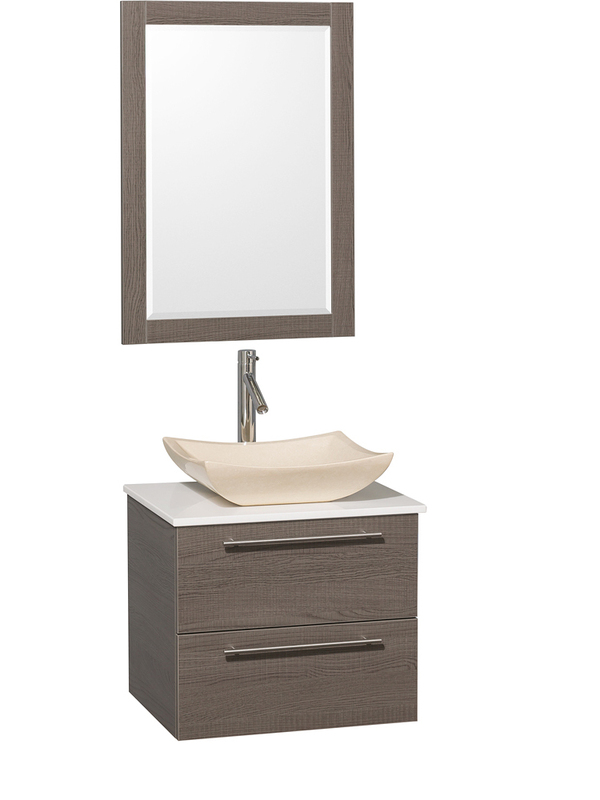 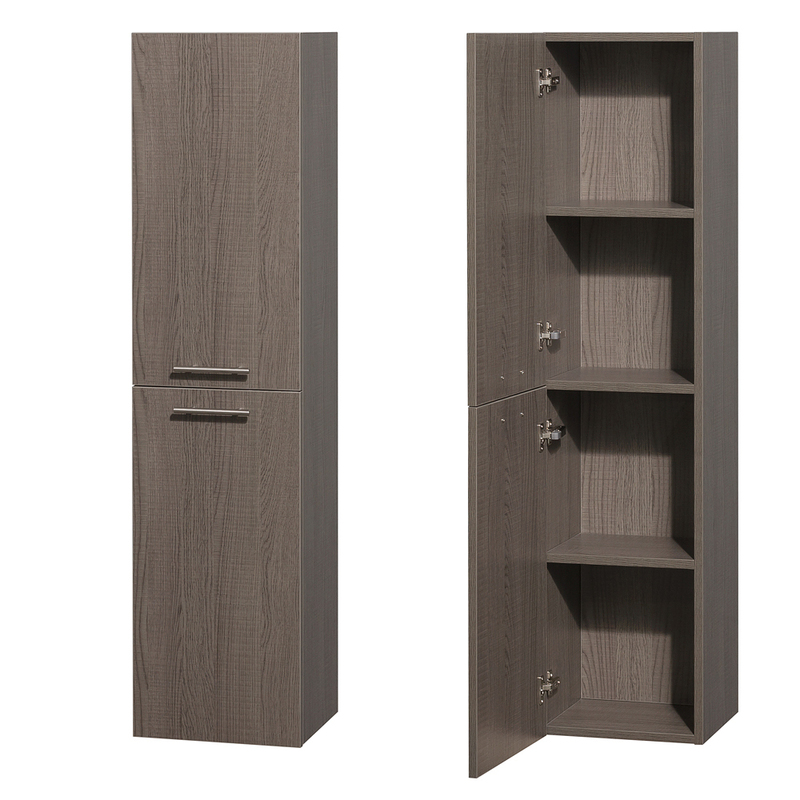 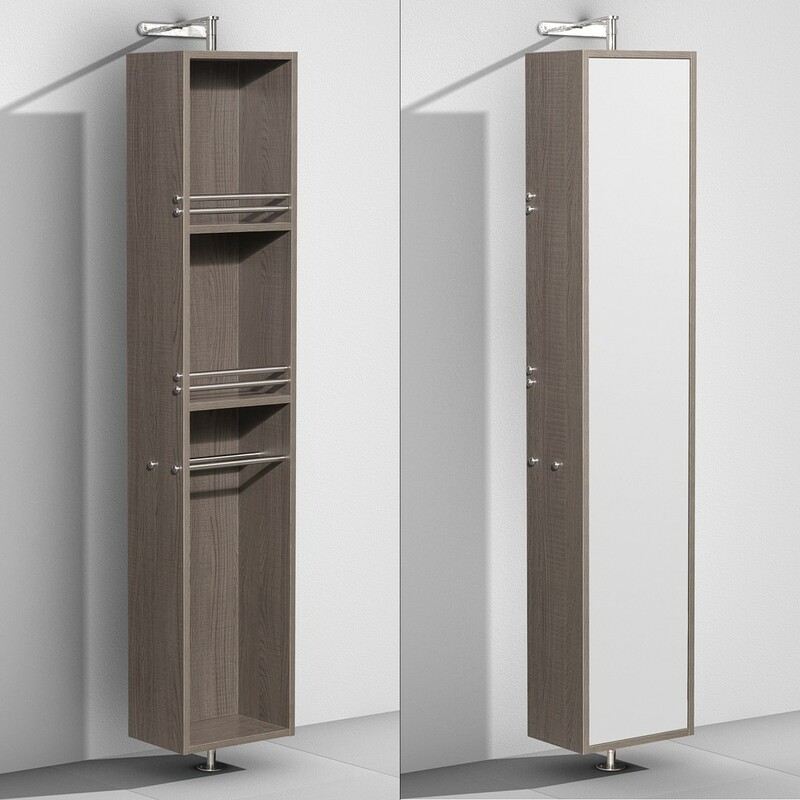 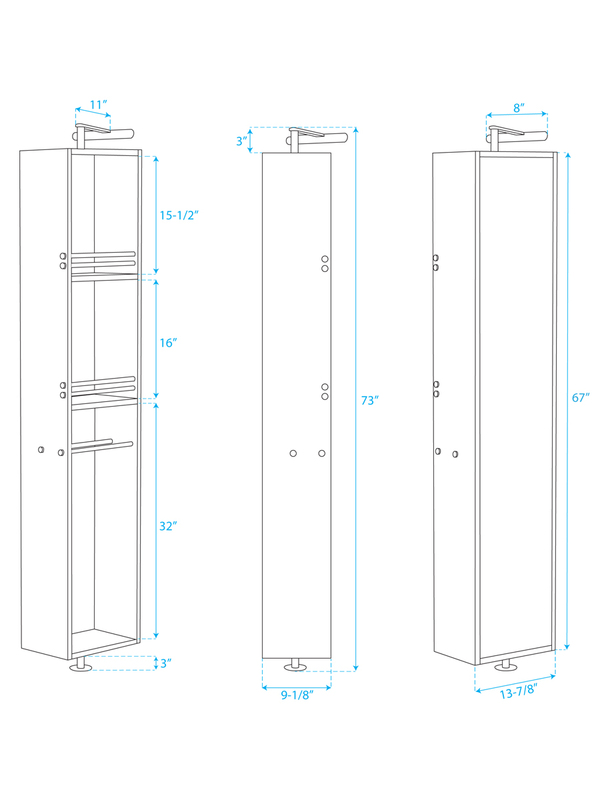 The Amare Gray Oak Bathroom Vanity and its included mirror are a bastion of modern design and style. Clean lines and sleek finishes are the hallmark of this wall-mounted piece of art, instantly giving your bathroom a look straight out of an art museum. 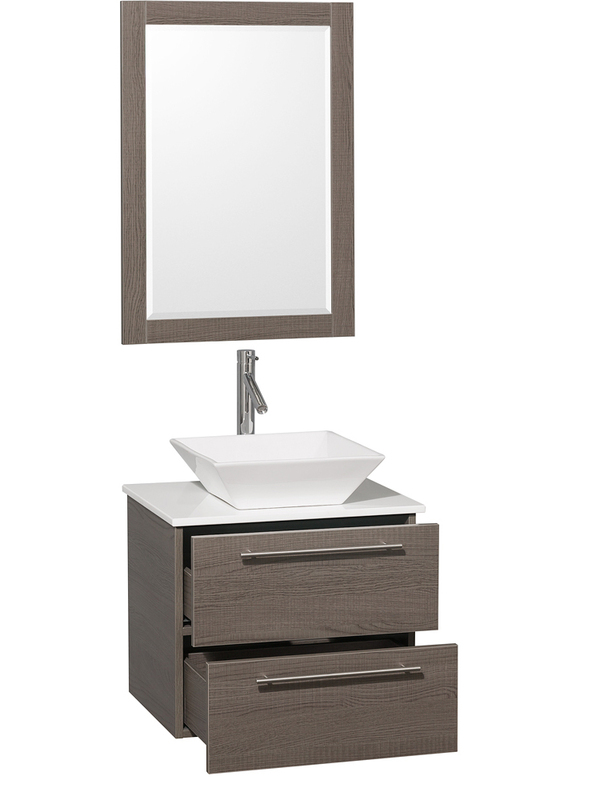 With its simple chrome-brushed hardware, ultra-modern vessel sink and lustrous glass or artificial stone top, guests will be floored by the unique design. Five sink options offer the opportunity for customization, with a bone or white porcelain offering more clean edges and simplicity while options like the black granite or marble offer an abstract and rustic quality. 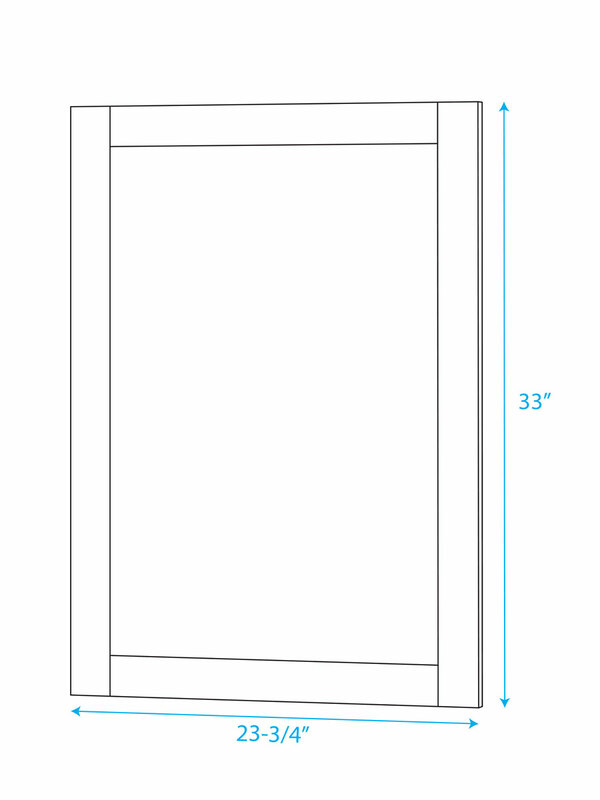 Behind the design, the Amare has durability and function. 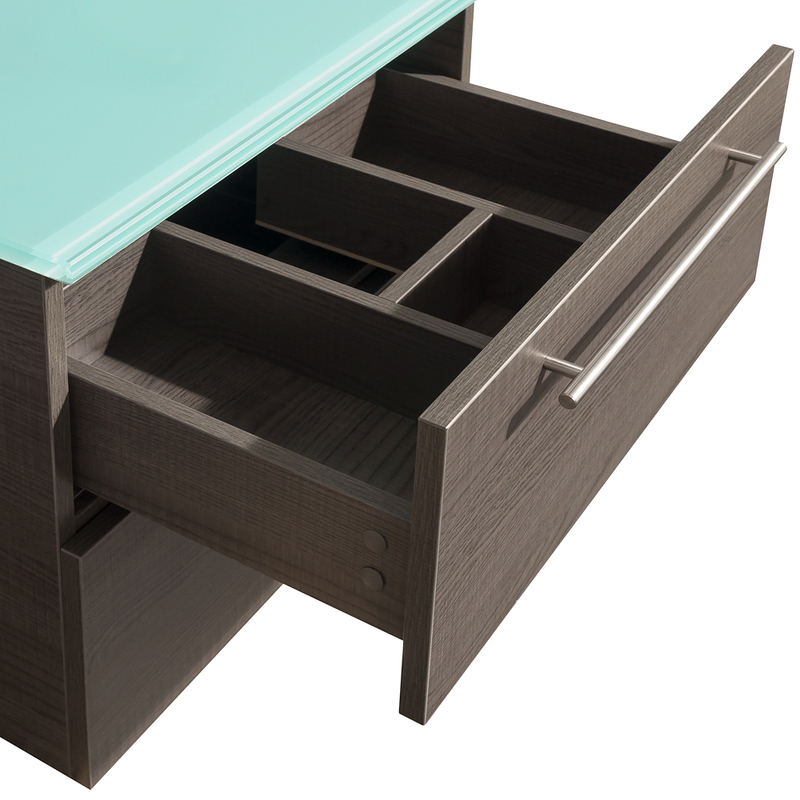 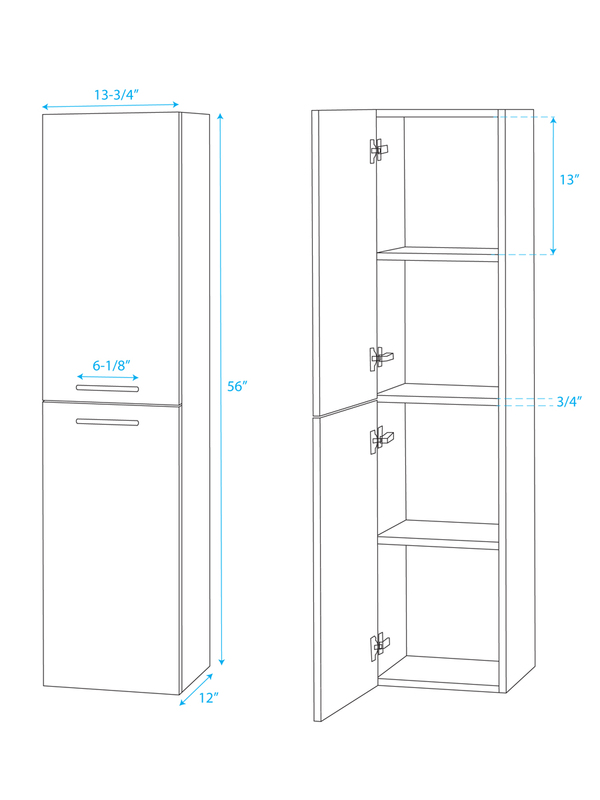 Two fully functional drawers add storage to your small space while high quality manufactured wood construction will let it last for years. 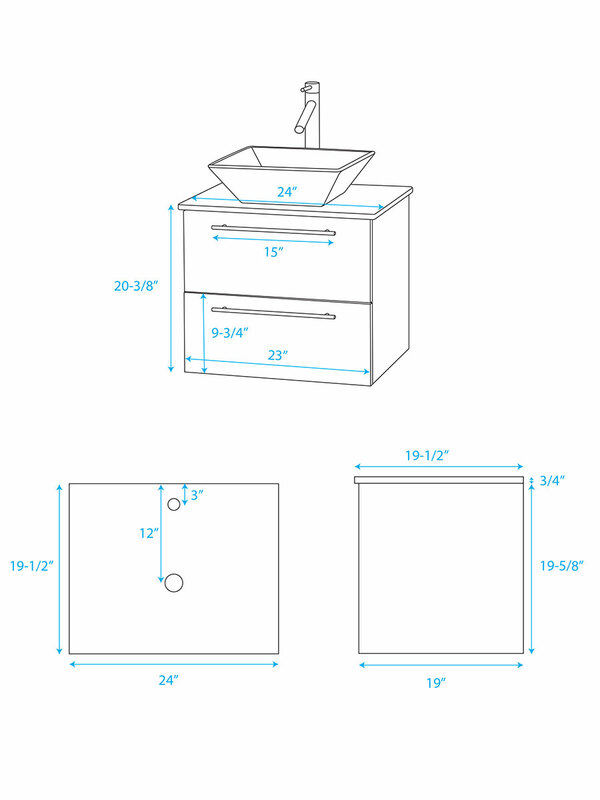 The countertop comes drilled with a single-hole faucet mount, but a faucet is not included.